GoodReads Summary: In 1930s Munich, danger lurks behind dark corners, and secrets are buried deep within the city. But Gretchen Müller, who grew up in the National Socialist Party under the wing of her "uncle" Dolf, has been shielded from that side of society ever since her father traded his life for Dolf's, and Gretchen is his favorite, his pet. Anne Blankman is a truly standout author in the YA historical fictional genre. She mixes real life events with fiction, and makes the reader look at history in a new and fascinating light. Interestingly, the image Blankman paints of Hitler is not one we are accustomed to. We see him through the eyes of the main character, Gretchen. To her 'Uncle Dolf' is kind, gentle, and utterly charming. It's not until she encounters a Jewish reporter named Daniel, that she begins to questions everything that she's been lead to believe. Gretchen was a strong and admirable mc; I found myself easily empathizing and rooting for her. The 'forbidden romance' angle of the story was, in my opinion, well crafted. There's no over the top drama or insta-love. 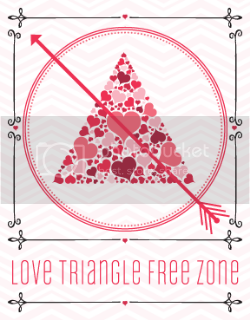 Instead the romance develops at a slow and believable pace, as Daniel opens Gretchen's eyes to the truth. The secondary characters were also well developed - from Gretchen's cold and ruthless brother, and distant mother, to her friends Eva and Geli. 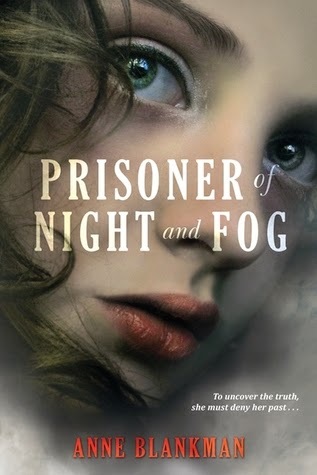 The first in a planned trilogy, Prisoner of Night and Fog is a stunning story that I highly recommend to fans of books like The Book Thief. In profile, she saw things about his features she hadn't noticed before: the straightness of his nose, the full shape of his lips, the sharp point of his chin. Why couldn't he appear the way he was supposed to? The human shape of his face, the human smell of him-all combined to make it difficult to remember he was a subhuman. Did I hear something about no-insta love and a well developed romance? Yes that's what grabbed my attention. I slow-burn romance is so hard to find in the YA genre so I definitely want to see where this one will take us. Ah, excellent. Giving the reader a look at history in a new light is exactly what I love most in my histfic reads! I'm not really sure what to make of that depiction of Hitler though... I guess I'm repulsed at the idea, but also curious, definitely. I'm also curious that this one is the first in a trilogy because all other histfic I've read have been standalones. Thanks for this review, Renu! Nicely done. Oh thank goodness. I have an ARC of this because I am fascinated by WWII and I thought this sounded exciting and unique. So happy to hear it pans out, I will be interested to see the other side of Hitler. I have this and have been kind of nervous to read it, so thanks for making me more excited! You completely sold me on this one. I'll be on the look-out for it and the rest of the books in this series. Glad this worked well, the premise sounds like one that could easily go wrong. My first concern was that it might be contrived, but I'm feeling more reassured now and will give it a try :) p.s. I loved The Book Thief. I just wrote my review for this too! Well, after waiting forever because I loved this so much! I definitely agree with you, this was a very well-developed story! This sounds really good. I like that the romance works and isn't too insta-lovey. that's good to hear since the book is a historical fiction and would seem a bit too out of place. Great review, I'm so glad you enjoyed it! I finally bit the bullet and went and downloaded it on Edelweiss. I'm kind of squeamish about the whole Hitler period, but I loved the book thief so will hopefully enjoy this one. Yay, I've just started this one so it's good to know that you loved it, Renu. I'm really excited to see the change that Gretchen undergoes.